Gold is a color that demands attention, which is exactly what you want when you’re rocking a brand new nail art design. Just put that together to DIY the turned up twosome that is the gold manicure. And yeah, we know — it’s not holiday season. But trust us: The height of summer is also the perfect time to rock the gilded nail look. Consider it your detox post-red, white and blue-d up digits or a welcome break from this season’s so-bright neon lacquers. Find a wealth of new summer nail inspo with these 20 gorg gold manicures. 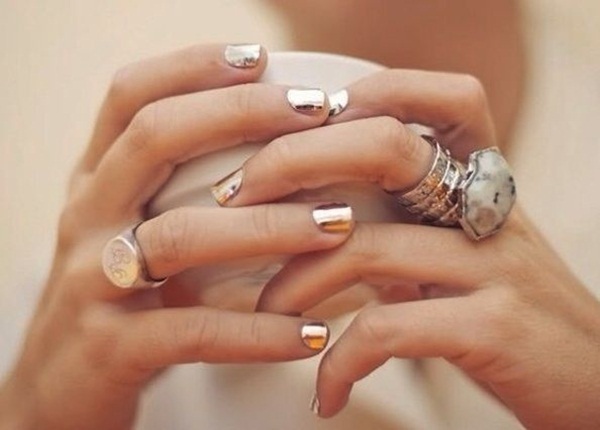 What’s your fave way to wear gold nails during the summer? Tell us about your go-to nail art designs in the comments below.